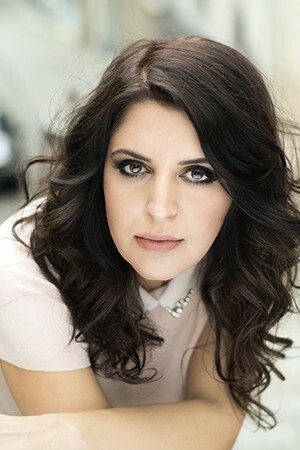 After playing the protagonist of Carmen in Paris, Palermo, Atlanta, Hong Kong and Zurich, Olga being Evgeni Onegin in Toronto and singing La donna Lake in Marseille, The mezzosoprano Varduhi francoarmenia Abrahamyan will debut in December at the Gran Teatre del Liceu and Isabella, the sparkling star of the first division of L'italiana in Algeri, Rossini, title in his presentation in Barcelona resumes after it debuted in 2014 in Paris. important in the world ", afirma Varduhi, "More still to do with an opera by Rossini. I know in the Liceu is a great bel canto tradition, a style that I love and doing very well to my voice. Rossini I sang two of his serious operas, are as Semiramide (Moscow -together with Alberto Zedda-, Montpellier and Marseille) and La donna del Lago (Rossini Festival in Pesaro now in Marseille), in addition to the Stabat Mater. Now back to play one of his acclaimed works buffa ". Varduhi Abrahamyan will take the stage of the Liceu day 13, 15, 18, 21 Y 23 December in a montage of Vittorio Borrelli and under the guidance of a specialist in the genre like the Italian maestro Riccardo Frizza. Later they await Carmen at the Opera de Oviedo, his first Princess Eboli in Don Carlo in Las Palmas, Siebel's character Faust by Gounod at the Royal Opera Covent Garden in London and his expected return to the Opéra National de Paris as Preziosilla of La forza del destino, company which has already played Carmen, Evgeni Onegin, Falstaff, A masked ball, the world premiere of the opera Anna Akhmatova, The Queen of Spades, The Coronation of Poppea or Julius Caesar.